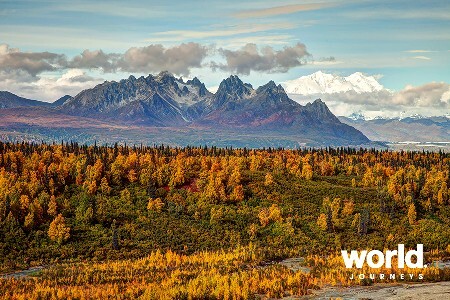 Explore the magic and the mystery of Alaska & Canada's Yukon Territory as you follow the historic Gold Rush Trail Mileposts. 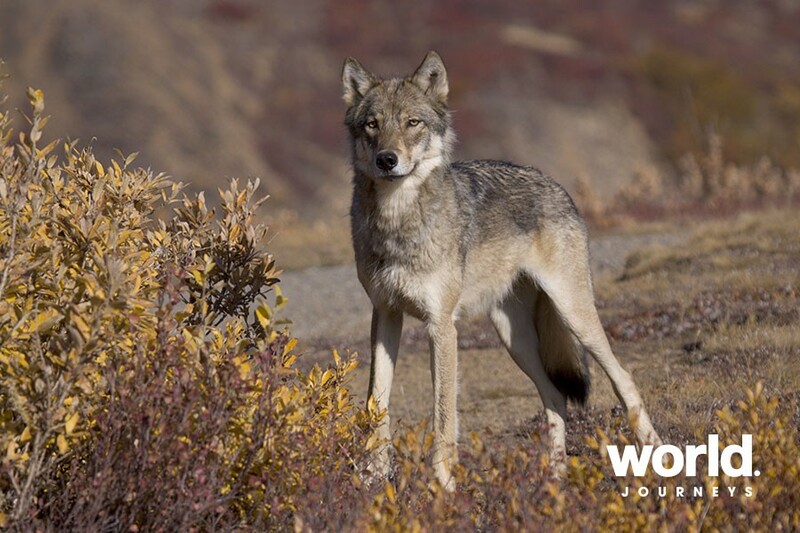 Visit magnificent Denali National Park, observe grizzly bears, moose, caribou, wolf and enjoy spectacular nature and scenery. 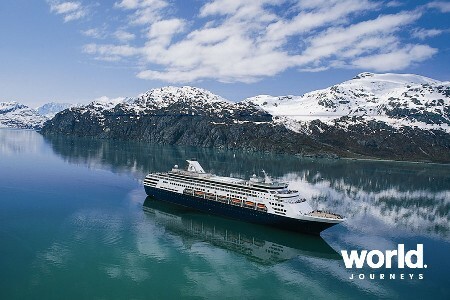 Travel the Top of the World Highway, and experience the best of Alaska and Northern Canada. Day 1: Anchorage > Talkeetna (181 km/113 mi) Drive the Glenn Highway north to Wasilla and on to Talkeetna. Stops can include a visit to the Alaska Native Heritage Centre. 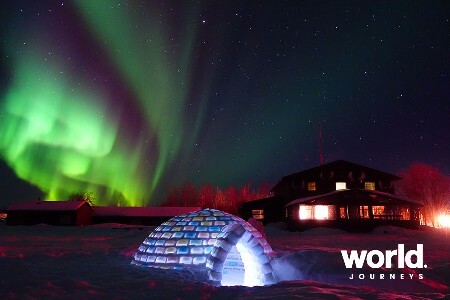 Talkeetna serves as a base camp for Mt. Denali climbers; the community of 857 residents is located at the confluence of the Talkeetna and Susitna Rivers. A turn-of-the-20th-century gold-mining centre, the town has retained much of its early Alaskan flavour. 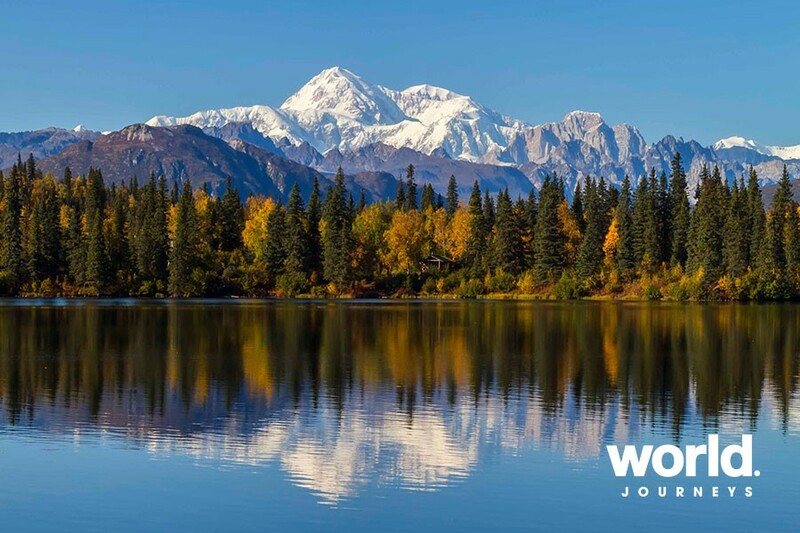 Log cabins, a roadhouse and clapboard storefronts line the dirt streets, colourful locals and bush pilots stroll the wooden sidewalks, while Mount Denali looms overhead. Main Street, the only paved road in town, begins with a "Welcome to Beautiful Downtown Talkeetna" sign at the town park and ends at the banks of the Susitna River, a nice place to view the big mountain when it's out. Day 2: Talkeetna > Denali National Park Entrance > Denali Back Country Lodge (169 km/105 mi - Denali National Park Entrance. 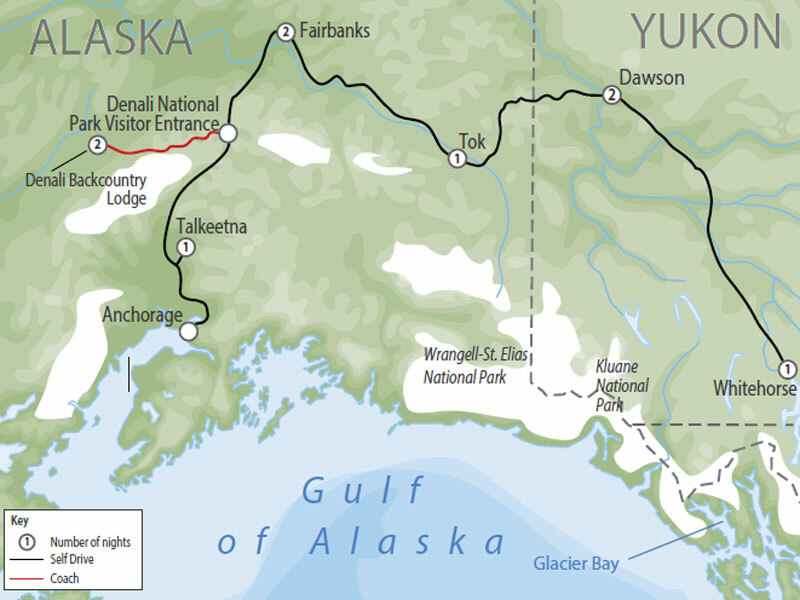 (149 km/93 mi - Denali National Park Entrance to Denali Back Country Lodge by bus) (D) Drive the Parks Highway north to Denali, passing by incredible forest and mountain landscapes. Leave your vehicle at the entrance to Denali National Park and transfer by bus deep inside Denali National Park to your Lodge. 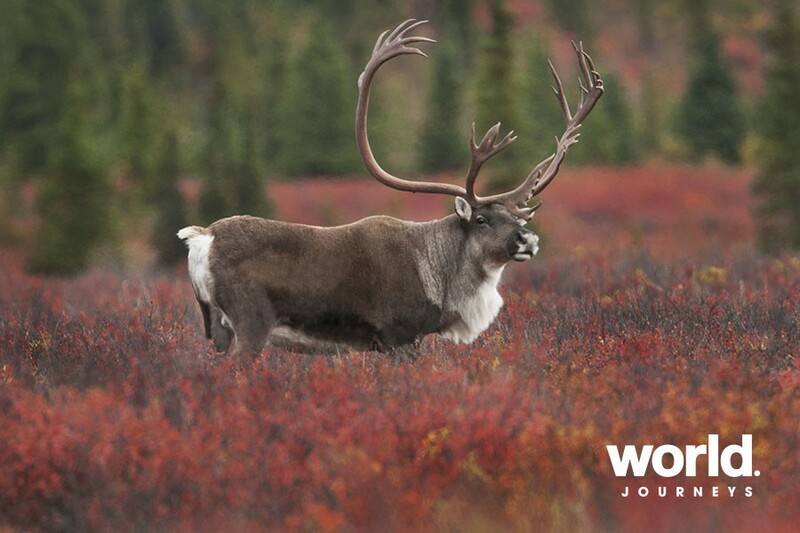 Look out for different animal species such as bears, caribou, moose, sheep, wolves and a variety of birds as you travel within the park. 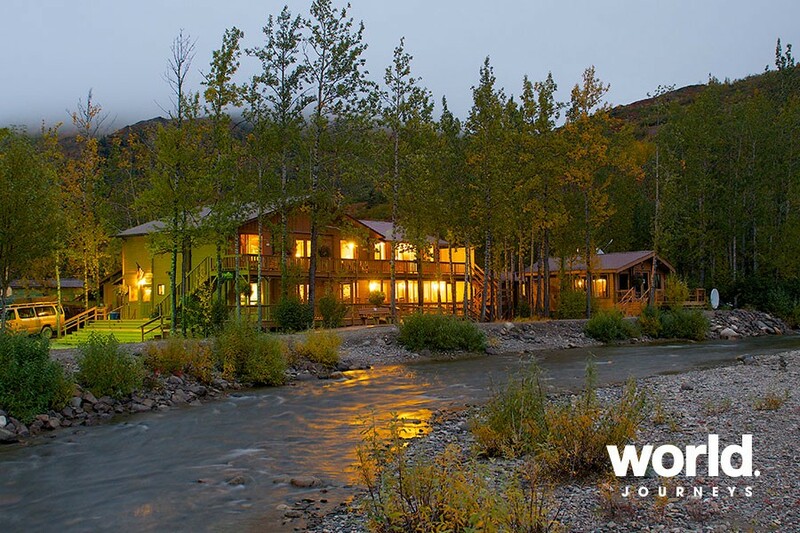 Day 3: Denali Back Country Lodge (B,L D) Nestled in a snug valley, the Denali Back Country Lodge is a true wilderness experience, with your own heated cabin. The lodge is located at the end of the restricted 148km Park Road with just a small bush airstrip and the vast interior of Alaska beyond. 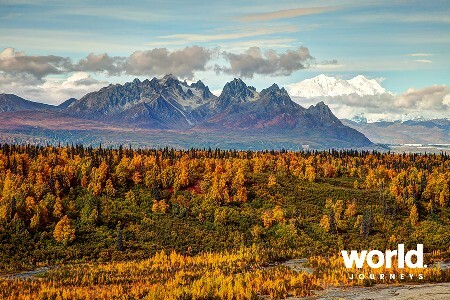 You can experience activities such as: day hikes (casual, moderate, or extreme), view and photograph Denali (Mount Denali), gold panning, botany walks, shuttle to Wonder Lake and mountain biking. You can also visit Fannie Quigley's Cabin, home to one of the original miners from early in the twentieth century. Meals are served in the main two-story lodge and are included. Day 4: Denali Back Country Lodge > Denali National Park Entrance > Fairbanks (149 km / 93 mi - Denali Back Country Lodge to Denali Entrance by bus) (198 km / 123 mi - Denali National Park Entrance to Fairbanks) (B) Return by bus to the Denali National Park entrance area. Then drive the Parks Highway north to Fairbanks. 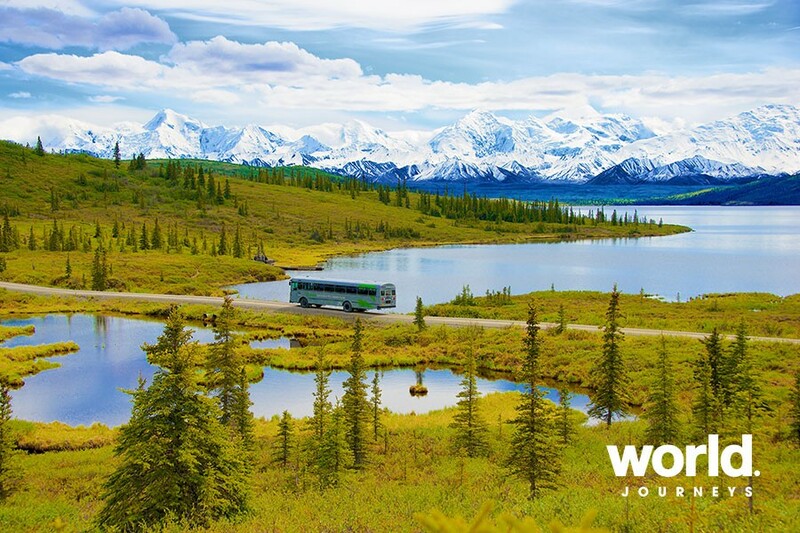 Accompanied by incredible forest and mountain landscapes you drive through the communities of Healy, Nenana and Ester - an old mining camp. Day 5: Fairbanks In Fairbanks you have the unique chance for an optional day tour to cross the Arctic Circle and to visit the vast interior. Another option is to drive along Chena Hot Springs road (watch out for moose! ), go on a hiking trip and visit Chena Hot Springs Resort. 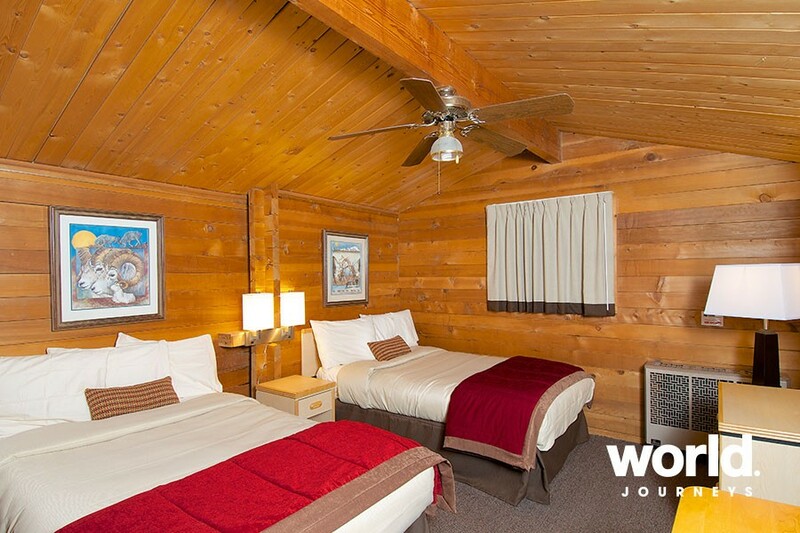 Here you can relax in the large heated indoor pool or the natural outdoor rock lake. Day 6: Fairbanks > Tok (325 km / 202 mi) Heading south, the Richardson Highway passes through stands of White birch and Black spruce, often close to the Tanana River. 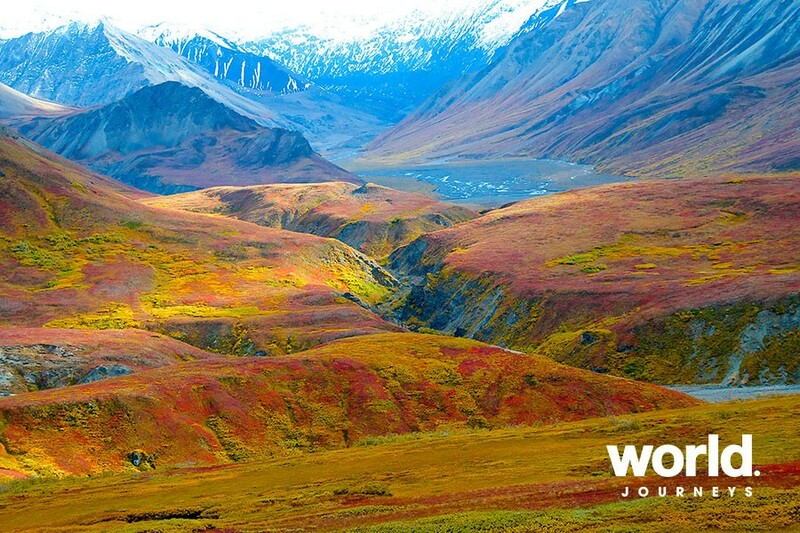 Soak up the raw beauty of the drive into the central Alaska Range, often paralleled by the Alaska pipeline. Overnight at: Cleft of the Rock Bed and Breakfast - Cabin. Day 7: Tok > Dawson City (297 km / 185 km) (B) The Top of the World Highway (please note this is a partly gravel road) brings you through spectacular backcountry and gold mining areas. When the highway reaches its highest elevation incredible views into far-reaching countryside open up. Before you reach Dawson City, you'll cross the Yukon River by the government- run ferry. With your arrival in Dawson City you might feel you just landed in a different century. 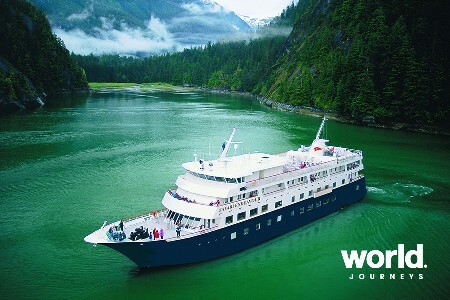 Experience the old Klondike in its well-kept colour and fame. Day 8: Dawson City A full day to visit the various historical sights of Dawson City: SS Keno - the last steamer to run the Yukon River from Whitehorse, the Jack London Interpretive Center with the poets original cabin, the city museum with audiovisual presentations, Dredge #4 - build in 1912 on famous Bonanza Creek, the Grand Palace Theatre - home of the "Gaslight Follies Show" and Diamond Tooth Gertie's Casino with legal gambling tables and "Can-Can" floor shows. Do not miss the short drive on the Ridge Road to the top of the Midnight Dome with excellent views over Dawson, the Ogilvie Mountains, and the Yukon and Klondike Rivers. Day 9: Dawson City > Whitehorse (532 km / 333 mi) Going south, the Klondike Highway passes through White birch and Black spruce forests, close to the Yukon River. Enjoy the raw beauty of the surrounding landscape. Stopover at the Five Finger Rapids and hike down to the shore of the Yukon River. In late afternoon you will reach Yukon's capital city, Whitehorse - a city with a unique combination of pioneer values and urban sophistication. Day 10: Whitehorse Upon check out of your hotel your arrangements conclude.